 You have been selected to serve as a reference by a person applying for a summer position at Lutherlyn, a Christian camp. Please carefully evaluate the applicant for us. Our goal is to provide quality staff to maintain the high program and safety standards of Lutherlyn. We are seeking mature role models that will live out the Gospel message as servants to others. This is confidential. As you answer these questions, please keep in mind these two questions: "Would I want this person to work for me in a position of responsibility?" and "Would I trust this person to care for my child or a child that I love for a week?" Please read through the following categories. Check as many descriptions as you feel apply to the applicant. If these areas do not describe the applicant, please feel free to comment in the space provided at the bottom of this section. What is the applicant's strongest asset? Would you be willing to have your child or a child that you love under her/his supervision at camp for one week?